The Toronto Branch of the Naval Association of Canada (NAC) was founded in 1946. The first President was Lieutenant Charles Arthur (Bones) Burke, DSC and Two Bars. 1. To educate the Canadian public and the Canadian government on the capabilities of Canada’s naval forces and to identify the importance of the long-term enhancement of these capabilities to the future security and well-being of Canada. 2. To cooperate with other organizations having objectives wholly or in part the same as or similar to the objectives of the Naval Association of Canada. 3. To further public acknowledgement and preservation of Canada’s maritime heritage by providing grants to support naval projects, naval museums and trusts, and to organizations that provide support to Veterans. If you want to make new friends with those that have an interest in “Maritime Affairs” and possibly renew old friendships with Naval and Canadian Armed Forces colleagues. You will enjoy the many NAC-TO social activities organized each year. There is three major Annual events planned. 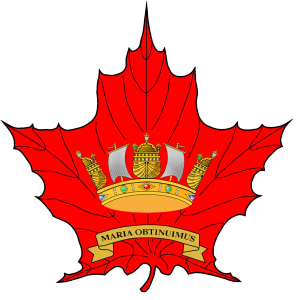 In the fall we host a “Trafalgar Day Luncheon” at the Royal Canadian Military Institute. We also host our ‘Xmas Hoist’ in early December of each year at the Armour Heights Officers’ Mess, located at the Canadian Forces College. And this year we are planning a Spring ‘Dine In’ Dinner, also at the Armour Heights Officers’ Mess. Our very popular Monthly Speaker Series is in its Eighth Year. The Speaker Series is held at the Armour Heights Officers’ Mess located at the Canadian Forces College. For the most part our guest speakers bring a Maritime/Naval theme to these presentations. An informal meal at the Mess beforehand and a Pint during the speaker is not uncommon.